This looks like a sweet card. Certainly ATI is taking control of the market. What happened to the Hydra by Lucid Logix? I haven't heard anything about it in a while. 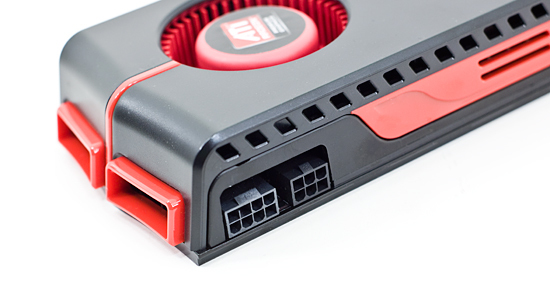 Theoretically, the Hydra should take 2 ATI cards and make them perform better than Crossfire can. there as been reviews of HYDRA already, what planet are you on? 2) No Hydra 200 products have shipped, all current "reviews" have been done using Lucid's development hardware. 3) It appears that Hydra will not work well with dual GPU cards; it will see only one of the GPUs. 4) Early results show that Hydra offers roughly equal performance overall to Crossfire/SLI. I haven't tried but you should be able to do this easily, using catalyst. There's an option there to flip your screens for horizontal/vertical views and duplicate/extend your screens. That should do it for you. I've spent hours trying to find a way to do it with Catalyst, and I can't find one. Right now it's on extend, which just leaves the secondary monitor as the desktop, with no taskbar on the bottom, and leaves me unable to play games at 3840x1080. To put it simple, no it's not supported. The only way you'll be able to use the second screen is with games that are explicitly coded to support dual screens (Supreme Commander?). Your only other option is to use a Matrox multimon device (forgot the name) or an EyeFinity card of course. No NVIDIA card will allow this either, it's not a driver issue. On the same topic, does anyone know why my dual screen setup resets after PC restarts/shutdowns? In addition, I HAVE to select duplicate first, set it and then switch to extend. Selecting extend first doesn't enable it. Using current driver but this was there with previous versions as well. I've Googled and read many forums but haven't encountered many users having this particular issue. This is consistent in XP, Vista and Win7 as far as I can remember.